Nationwide, millions of Canadians use tax preparation services every year without a single problem, and in fact, these relationships are usually quite beneficial. However, that busy tax filing time also brings with it some danger, as there are many unscrupulous individuals who pose as tax preparers but are only looking to steal money, personal data, or both from individuals and businesses alike. But while the prevalence of this kind of crime really starts to gain notice in the few months ahead of the filing deadline every year, it is actually important for small business owners and individuals to keep in mind all the risks they can run throughout the year. By doing so, you may be able to more adequately prepare your taxes in the most responsible and beneficial manner possible, while still maintaining as much security around your sensitive data as you can. When it comes to avoiding any type of tax-related scam, the best thing for any farm owner or truck owner operator to do is carefully research the tax prep company with which they plan to do business. Usually, this is all that's needed to identify which firms are legitimate and which are not. Running a simple web search for the company, checking with local small business organizations where they are based (like the Better Business Bureau) and simply asking around is usually a pretty good way to identify which tax specialists have been in business for a while and are legitimate - and which are more fly-by-night operations that could put a person or company at risk. However, that may just lead to some grey areas - after all, anyone can set up a website and post phony reviews - but the more research that can be done into these issues, the more likely an owner will be to spot potential problems before they arise. Protecting tax information and other financial data is crucial. Once a legitimate tax preparer has been identified, however, individuals and small businesses aren't necessarily out of the woods yet. 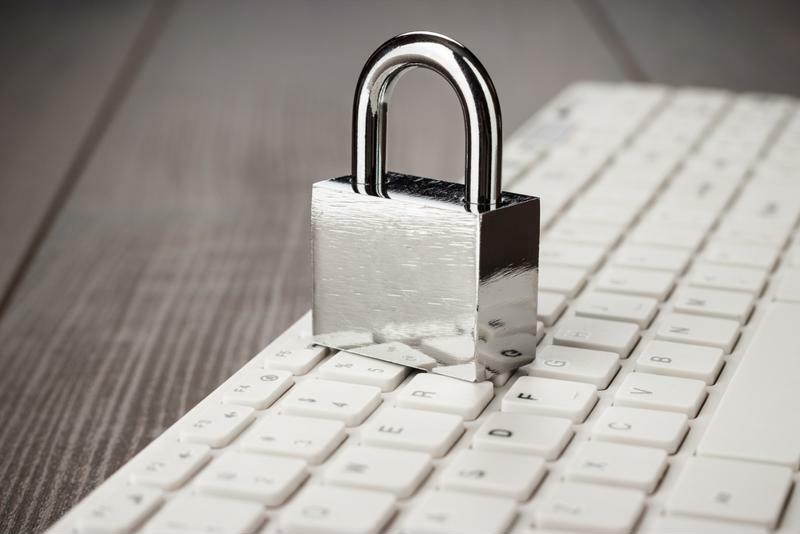 Most, but certainly not all, real and experienced tax professionals will be able to talk to prospective clients about the steps they take to safeguard the sensitive information provided to them for the preparation process. For instance, most will have state-of-the-art data and systems protection software in place including stringent firewalls that are difficult to crack, and scanning programs that constantly monitor emails and other incoming transmissions for viruses and other malware. The fact of the matter is that when it comes to IT security, even one mistake made by a single employee can end up being extremely damaging; all it takes is one fraudulent email attachment being opened by a person who is not paying careful attention, and an entire network can be easily compromised. What Can Be Done By Tax Pros? Fortunately, many reputable tax prep companies will also have training courses that help their employees to more easily spot potential security risks such as phishing emails, many of which often don't even come pre-loaded with malware, but just "social engineer" people into revealing login data. Well-trained tax specialists are likely to be quite expert at spotting potential outside attempts to crack internal security, which can often do just as much damage as simply working with a fraudulent tax preparer. In addition, these employees will most likely also be well-versed in how to properly handle that data when it's turned over in physical copies. Because many small businesses - including farms and independent truck owner operators - do not always have the luxury of digitizing every bit of financial data they need to turn over to their tax specialist, they're often providing them with physical copies of things like receipts and invoices. However, that obviously creates the risk that these documents could be stolen, mislaid, or otherwise fall into the wrong hands after they've been entered into a computer. The good news is that while there are occasionally horror stories in the news about entire file boxes of such data being discovered, unshredded, out on the curb with everyday trash, these occurrences are rare simply because of how well-trained most tax professionals are when it comes to dealing with sensitive data. FBC tax specialists bring scanners to your home or business to copy your documents so your personal data never physically leaves your sight. The data is stored on encrypted computers and servers. What Can Be Done By Owners? Meanwhile, though, it's also important for business owners to make sure that they're doing as much as possible to protect that sensitive data as well. That means making sure not to misplace any sensitive files such as those related to bank or credit accounts, or those with personally identifying information for owners, clients, customers, business partners, and the like. In addition, they should be able to transmit data in the safest way possible, and do a bit of research into how to spot the same things tax pros are on the lookout for: phishing schemes, malware, and computer viruses that could compromise a lot of sensitive information in one fell swoop. Further, they should make sure that their home or office computers - wherever they store sensitive financial information - are on secure networks (some security experts recommend hard-wiring them into internet connections, rather than relying on Wi-Fi) to further improve their data security. In addition, it's often wise for owners to avoid connecting the devices with such information to public Wi-Fi networks, because some criminals may sit in wait on such connections looking for sensitive data to steal. All of that should help to go a long way toward farm owners and truck owner operators identifying potential threats on their own end, and also make it easier for their tax professionals to do the same. Finally, it's important for small business owners to not only ensure that all these precautions are being followed as closely as possible, but also that they take to heart the overarching lesson: Vigilance is crucial. Simply being aware of the threats you may face when dealing with their sensitive tax documents and other financial data, and educating yourself on the ways in which you can protect this information, is often going to go a long way toward protecting against the risks that can arise in the event of even a single misstep. This same principle is also true of tax professionals themselves, of course, but again, all it's likely to take is a bit of research for owners to determine which are likely to do the best job of protecting their data, and how they're going to do it. As with just about any other type of tax prep work, though, the earlier you can undertake that legwork, the better off you're going to be when it comes to spotting potential issues. Much as it is with getting all the important documents and data together for a successful tax filing that minimizes liabilities and maximizes returns, any steps that can be taken - usually months in advance - to maximize security and minimize risk is likely to pay off significantly in the end. Having that kind of peace of mind may go a long way for farm owners and truck owner operators, as they may be able to regularly keep tabs on security and other tax issues over the course of the year, rather than just in a mad dash within a few months of the filing deadline.